These rich, stunning statement earrings will certainly become a favorite accessory! Like most of my pieces, they are made when ordered. . . 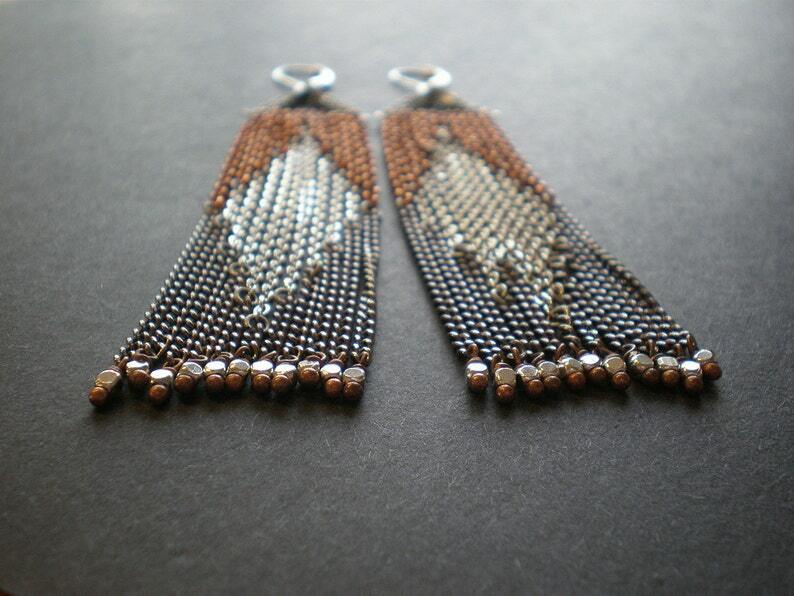 Various toned chains are painstakingly cut, measured and lined up to make this pattern which resembles the motif of many Native American Indian pieces. I enjoy every minute of the process! These will dangle,swing and sparkle as you walk on by! As with many of my designs, these earrings can work with a LBD or WOJT* The earrings hang from a sterling silver lever-back ear wire and will fall long. . . .roughly 4-1/2" (11.5cm) from the hole in your lovely ear. Chain colors may vary slightly from the photos. . . .